I’m a 33 yo guy from southern Europe and I recently got hired as a full-stack developer for my first gig in the industry. I feel like I need to share my story here on freeCodeCamp: this platform played a huge role in getting me where I am now, and reading success stories on this forum truly helped me stay motivated all the way through my journey. After a high school diploma in IT and a university degree in humanities I had a few unfulfilling gigs in my field of specialisation where I was working “for exposure”, which is a funny way to say I wasn’t paid at all. I soon got fed up with that life, so I quit and stayed unemployed for several months, during which I applied to all sorts of jobs. Unfortunately it was still full-blown financial crisis at the time so no one was ever replying, the best I was able to find was a part-time job where I had to place leaflets under car windshields. Some people say having some education in IT or a uni degree is enough to have an advantage over the other candidates, but after hundreds and hundreds of applications lost in the void I can attest that’s definitely not the case. Eventually, after many months of despair, I ended up doing generic office work for a company of cheap asses paying a miserable wage, I sucked it up because I didn’t want to force my parents to financially support me anymore and I needed the money to get by living by myself. As time went on, this place turned out to be worse than expected. Despite the hard work I was putting in, my wage wasn’t moving up, there was no room for professional growth, and my requests for less precarious working conditions were falling on deaf ears. I was clinging onto a dead-end job giving me no marketable skills, living paycheck to paycheck, struggling to keep depression at bay and not really looking forward to the future. I was 30+ already and it felt like it was over: the chances to get a decent career had been crushed by the bad economic juncture I had to face, my country’s harsh job market, and a couple of suboptimal life choices. Here, Reddit came to the rescue, with its infinite amount of life tips from great redditors and its resourceful CS-related subreddits. Their advice got me up and running again, and set an ambitious goal for me: becoming a software developer. deployed my first full-stack MERN app (end of December). At the end of last year not only was I ready to endure a prolonged period of unemployment thanks to the money I saved, but I was also feeling confident enough to quit the job I had and start sending out applications. I only had two moderately complex web apps under my belt, but still decided to go for it and shotgun my resume everywhere in Europe through Linkedin, and I ended up being called for some interviews in my own country. To my surprise, I only needed to attend three of them. The first one was about C++ and led nowhere, while the second and third one were about webdev (front-end and full-stack respectively) and I got an offer from both, I eventually chose the latter. The salary is in the mid-high range for an entry-level here, the location is pretty far from where I live now but in a very picturesque setting, and I get to play foosball during coffee breaks instead of staring at the emptiness of a freezing cold warehouse, so I can’t really complain. I’ve been jobless for only 10 days. Now, I understand not many of you can relate to my situation: I live in Europe, I have some IT knowledge from high school, and a family that could support me financially for a while, but I still want to try and give some advice back, for those who want to listen. If you are trying to enter this field, you are in luck: at the moment there’s a shortage of people who can do the job (bonus points if you live in Europe, here companies are desperate for devs), so unlike other industries people care very little about your age or education/working background, but you must prove them you can be productive. Go where the jobs are. Software developers have the luxury to be highly sought professionals: don’t be afraid to move somewhere else to get your first experience, a job is not forever and you can easily move back in 1-2 years if you so choose. Can’t move? Then networking is the way to go (meetups etc.). Soft skills are vital, neglect them and you’re gonna have a bad time in life. More often than not, having a positive and proactive attitude is what gets you hired. Show the employers you like what you do, be genuinely interested in what they do, and be honest about your strong and weak points. In CTCI’s words, don’t fail the “would I have a beer with this guy/gal?” test. Polish up your Linkedin profile: it has to be complete, with a captivating bio and a professional photo. If you are currently unemployed, write that you are a software/web developer “seeking work opportunities”. Talk to recruiters, but don’t count on them. When writing your resume, keep it simple: use a clean design and an “easy on the eye” font. Refrain from giving your skills votes, it’s unnecessary detail at best and overstating / downplaying at worst. Don’t write in-depth descriptions of your previous working experience, there’s your Linkedin profile for that. Don’t add your location and birth date / age. Create a generic cover letter, but take your time to adapt it to the company you’re applying to. Avoid too much formality. Add your location here if relevant. Learn Git, use it, and upload your projects on Github. Have at least 2-3 good projects to show off, complete with a shiny, well-illustrated readme file – Spoiler: when hiring, many HRs and devs won’t bother going through your code at all if not for a quick glance. Try to code and push commits everyday to show your employers a nice green heatmap, don’t simply make a single commit once the project is done. If you are not hitting roadblocks anymore when coding, that is awesome, but on the flip side it means that either you’re not learning something new by pushing out of your comfort zone, or you’re at a point where you should be applying for jobs instead. – “Requires 2 or more years of experience” means “no experience required”. Apply. – “Requires degree in CS or related field” means “no CS degree required”. Apply. – “We’re looking for mid-senior devs” means “eh, maybe a junior would do too”. Read the 3rd point again, then apply. That’s how I got my job. Apparently, someone meeting 50% of job requirements has the same chance to be called for an interview as someone matching 90% of them. Apply. Check out the latest roadmaps about the state of the art in webdev, a good video for 2019 can be found here. freeCodeCamp is the most efficient way to learn web development from scratch, period. Take notes of what you’ve learned. Make the exercises for the certifications. Some subreddits to follow: r/learnprogramming, r/programming, r/webdev, r/web_design, r/reactjs, r/freecodecamp, r/cscareerquestions, and many more I can’t recall now. I created a dedicated Reddit account specifically for CS subreddits, do the same and ditch the old one(s) you may have, so your feed is always clear from distractions. Udemy: the only course I used was MERN Stack Front To Back by Brad Traversy. Excellent hands-on tutorial guiding you through the development of a fully-fledged social network. This is the only paid resource in this list but highly worth the 10 bucks it costs when on sale, btw this is also the course that made Redux click for me. The Net Ninja tutorial about Node/Express. Stack Overflow, this is a no-brainer. Use it to improve your google-fu as well. Learn CSS by playing: Flexbox Froggy and Grid Garden, good for interview prep too. Hackerrank or Leetcode to practice your problem solving skills. If you’re good at these you can even aim at Big-N companies. Procrastination can be a pain. If you’re having issues in this sense, understand that you’re in good company (I did it too) and that you can fix this disfunctional behavior. Start by checking this course out. Another thing you could try to be more productive is joining cohorts on Chingu. And that’s pretty much it! I hope this will help and/or motivate other people: keep grinding code and you’ll get there. And naturally, thank you freeCodeCamp for getting me out of the hole I fell into, I just made a donation as a token of my gratitude. This is an incredible write-up that I’m going to use as a huge source of inspirational going forward. Congratulations on the new job and thanks for taking what must have been a considerable amount of time to put everything into such a coherent post. Bravo sir. Love your take on this, especially the job “requirements.” I’d have a beer with ya! Thank you so much for sharing! What an incredible journey - you’ve accomplished so much! Thanks for all of the links - I feel like there is so much I’m missing out on. Perhaps I missed it - just wondering (and it’s the only non-code thing haha) how you focusing on your Spanish studies? And was that to also help with your career moving forward? No, it didn’t help me find a job, but knowing a language spoken by half a billion people doesn’t hurt. Congrats! I see you did mern course by Traversy. Im startng it this week and hopefully it will help on projects. Can you share your portfolio site or github? Congrats on making the transition, and thank you for sharing these excellent self-study tips! 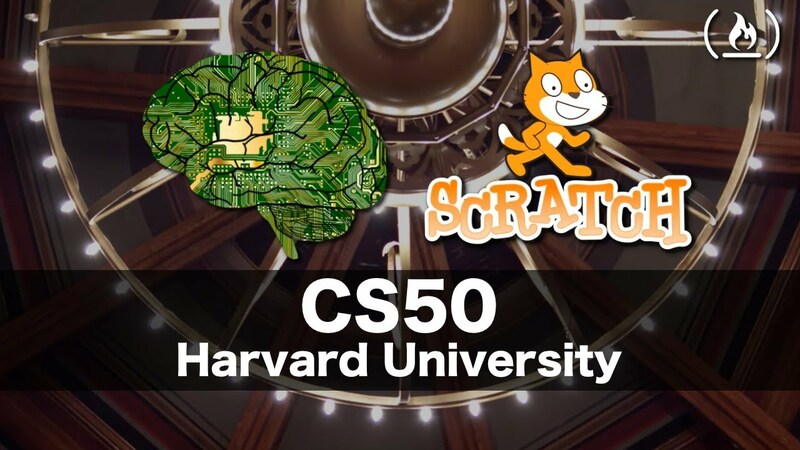 Start things off with CS50’s Introduction to Computer Science on edX, this is simply put the best introduction to CS you could ever get for free. I like you have struggled with procrastination and I find it helpful to understand procrastination at the fundamental level - what is procrastination and why do we feel the urge to procrastinate? You’re the man. Thanks for creating this wonderful site, I can only see it soar in popularity in the future. Hey, thanks for sharing. This was helpful. Thanks for sharing your story. Always enjoy reading these as they’re inspirational and motivational for those that want to pursue their interests in this field. Good luck in your future endeavors and keep us posted on how this new career is going! Very inspirational. I’m in a junior role really trying to get to move onto a mid level role via FCC and I feel inspired by your words. My big takeaway is that 50% of requirements being met is the same as 90%! I am a similar age. Thanks for the inspiration! Great motivation and great, detailed resources and plan of action, thank you! I’m also from “South Europe” but already migrated to the “Center” for job years ago (also, same age ). I’m having a similar plan but had to use more than one year to get 3/4 of yours as working full-time + (happily) family things. Thank you, man. I’m 34 years old and your story helps me get motivated. Thanks for giving us hope.